When a mysterious parcel containing a hat is delivered by mistake to Angela Marchmont she thinks little of it, except to note that she wouldn’t be seen dead in the thing. But if she doesn’t want it, there are plenty of other people who do—and who are prepared to take it from her by force if necessary. It soon turns out there’s more than just a hat at stake, and now it’s up to Angela to discover what’s been going on—before someone else gets there first! 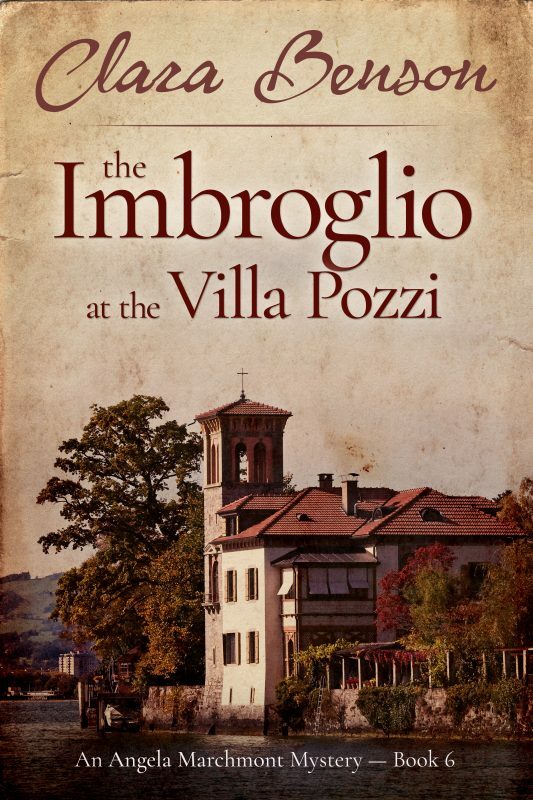 A Question of Hats is a short story of seven chapters, which takes place between the events of The Incident at Fives Castle and The Imbroglio at the Villa Pozzi. There are no spoilers for the rest of the series! 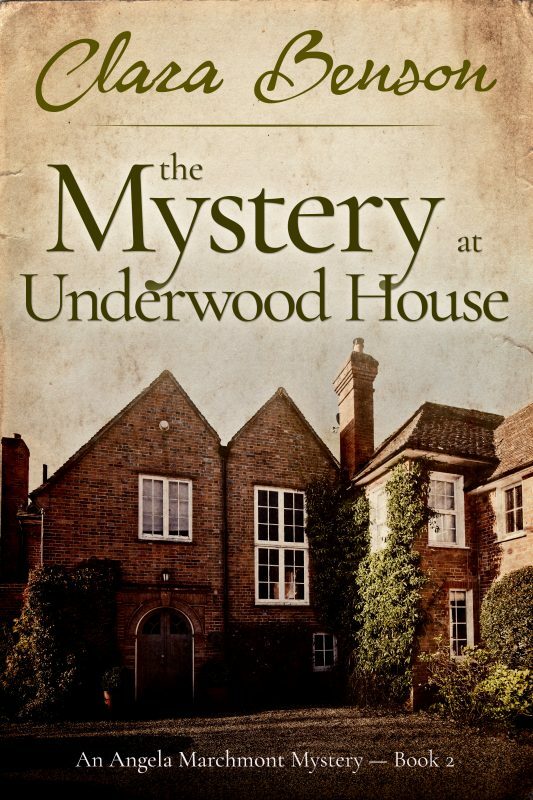 The Mystery at Underwood House is the latest exciting 1920s whodunit featuring reluctant ‘lady detective’ Angela Marchmont. When Angela Marchmont goes to Cornwall on doctor's orders she is looking forward to a nice rest and nothing more exciting than a little sea-bathing. 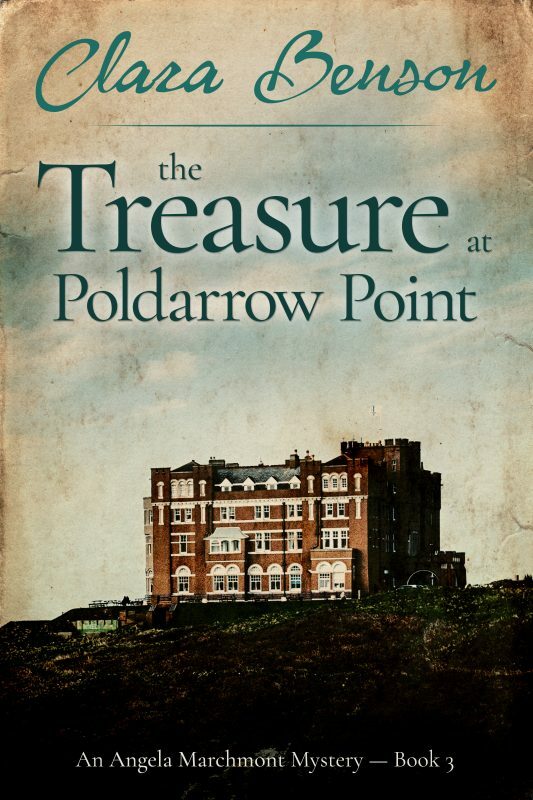 But her plans for a quiet holiday are dashed when she is caught up in the hunt for a diamond necklace which, according to legend, has been hidden in the old smugglers' house at Poldarrow Point for over a century. 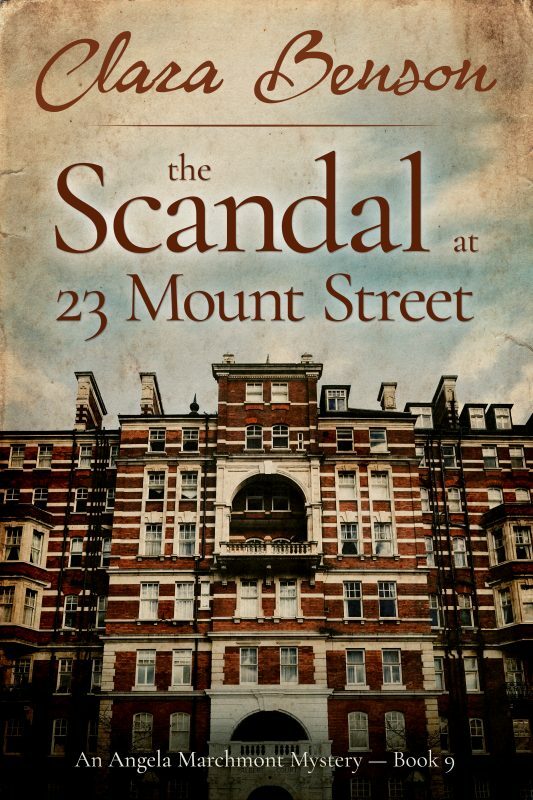 Aided by the house's elderly owner, an irrepressible twelve-year-old, and a handsome Scotland Yard detective, Angela soon finds herself embroiled in the most perplexing of mysteries. Who is the author of the anonymous letters? Why is someone breaking into the house at night? And is it really true that a notorious jewel-thief is after the treasure too? Angela must use all her powers of deduction to solve the case and find the necklace—before someone else does. 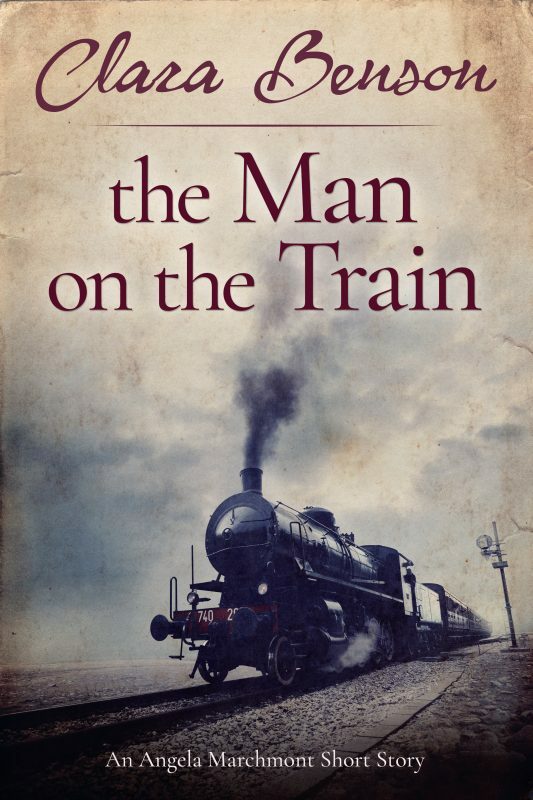 Lost in the mists of the Romney Marsh, Angela Marchmont stumbles upon the body of a woman whose face has been disfigured - presumably to prevent recognition. Who is she, and what was she doing out there in the middle of nowhere? 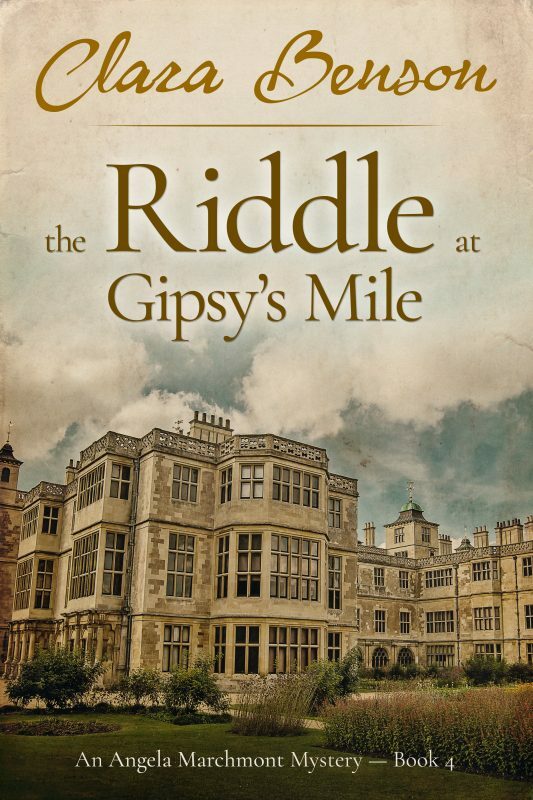 The search for answers will take Angela from a grand stately home to London’s most fashionable - and disreputable - nightclub, and into a murky world of illegal drinking, jazz music and lost souls. 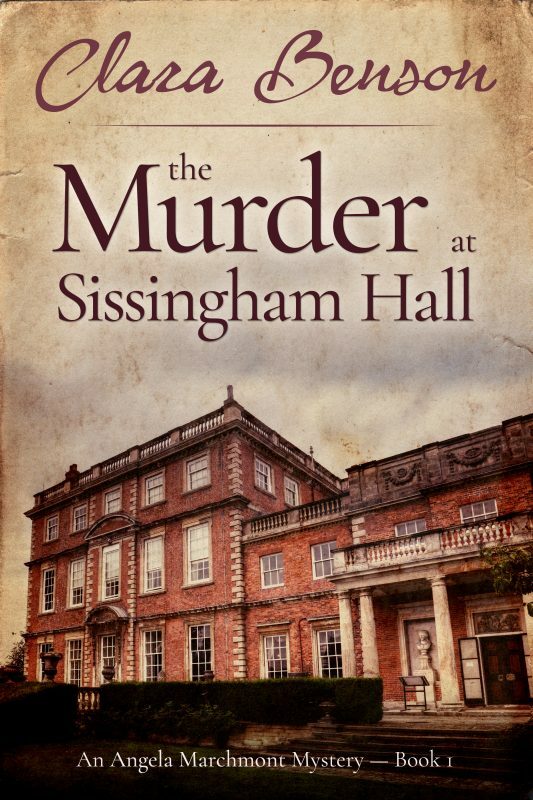 On a reluctant visit to her painfully respectable brother and his wife, Angela Marchmont finds herself once again caught up in murder when a local farmer is shot dead, apparently at the hands of his sworn enemy. But the case is not as simple as it seems, for other motives and suspects soon come to light. With reporters hot on the scent and her friend Inspector Jameson battling a conflict of interest, Angela must use all her ingenuity to unravel the case and bring the murderer to justice—or more than one person will suffer the consequences. 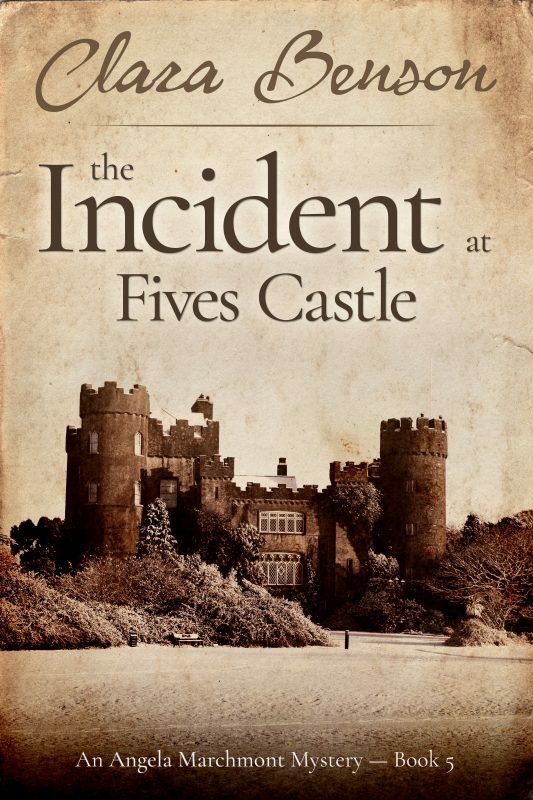 When the Grand Duke of Morania learns of a plot to assassinate him, he sends his daughter Princess Irina to school in England, out of harm’s way. 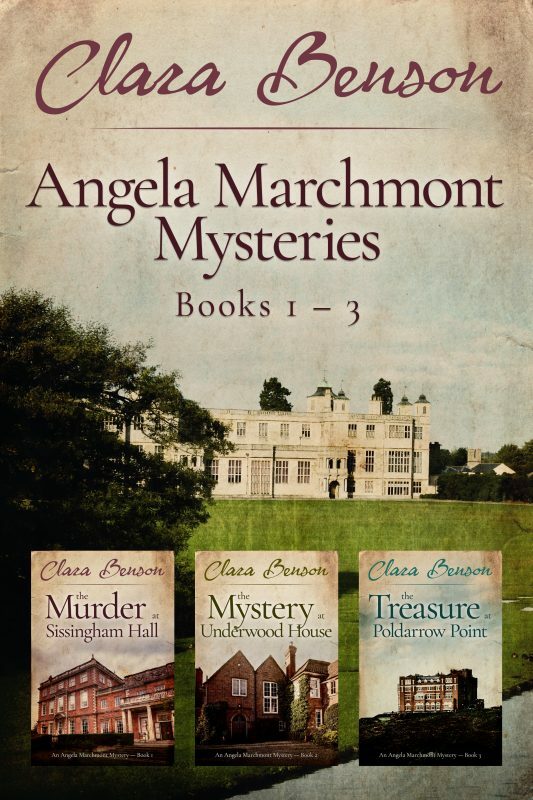 British Intelligence scent trouble and ask Angela Marchmont to investigate. But dark forces are at work, and when the Princess disappears in mysterious circumstances Angela must race against time to find her, before the throne falls and Morania is plunged into revolution—or war. 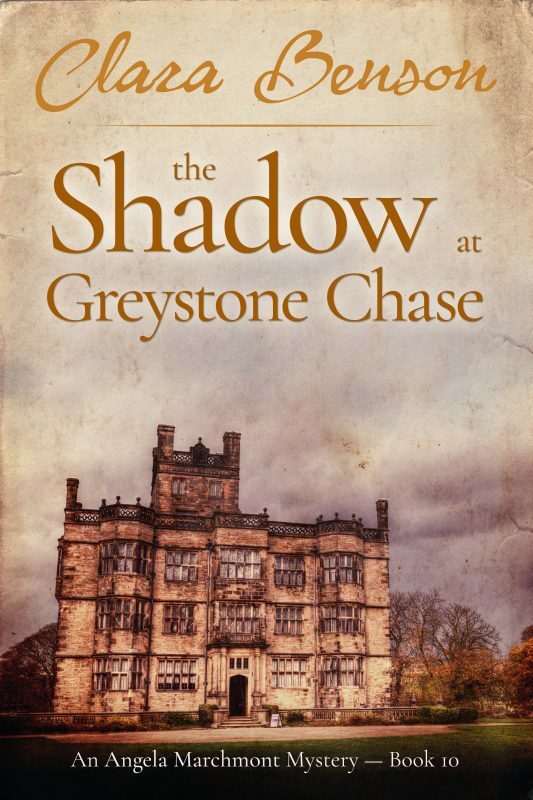 When an unwelcome figure from her past turns up unexpectedly, Angela Marchmont has no idea that she is about to become the most notorious woman in Britain. Forced to reveal secrets she has kept to herself for many years and which she had thought were safely buried, Angela faces a fight for her very life which she looks almost certain to lose without the help of the man she loves. But what hope does she have when the one man who can save her is the one man who has every reason to abandon her to her fate? After her bruising encounter with the law, Angela Marchmont has vowed to give up detecting, and is doing her best to forget the events of last winter and the terrible lie she told to save herself. So when a letter arrives from beyond the grave requesting her help and reminding her of the past, she is anything but pleased. Drawn reluctantly into one final case and spurred on by her guilty conscience, Angela soon discovers a viper's nest of family betrayals and hidden enmities which have lain undisturbed for years, and which may have led to the deaths of more than one person. Despite her unwillingness to reopen old wounds, Angela knows she must put aside her own feelings and solve the mystery if she is ever to find peace. Can she get to the heart of the matter, right the wrong she has done and be happy at last? 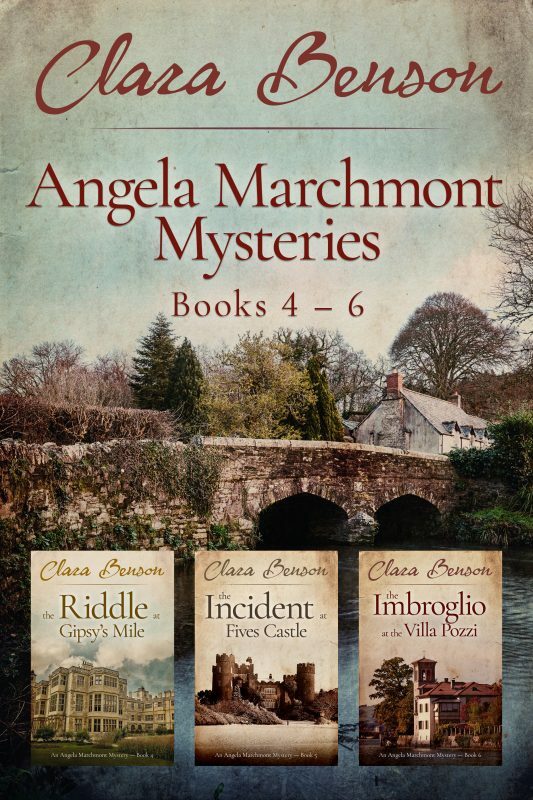 Meet enigmatic "lady detective" Angela Marchmont in this series of light-hearted and charming 1920s mysteries! 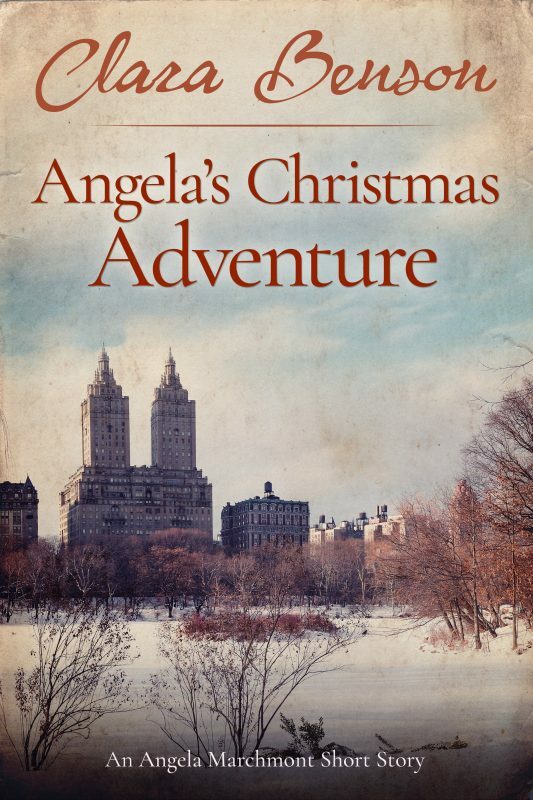 Angela's Christmas Adventure is best enjoyed as a sequel to the Angela Marchmont Mysteries. Angela Marchmont is looking forward to spending a nice, cosy Christmas à deux in Saratoga Springs, but before she can set off she finds herself caught up in the search for her elderly neighbour's missing diamond ring. 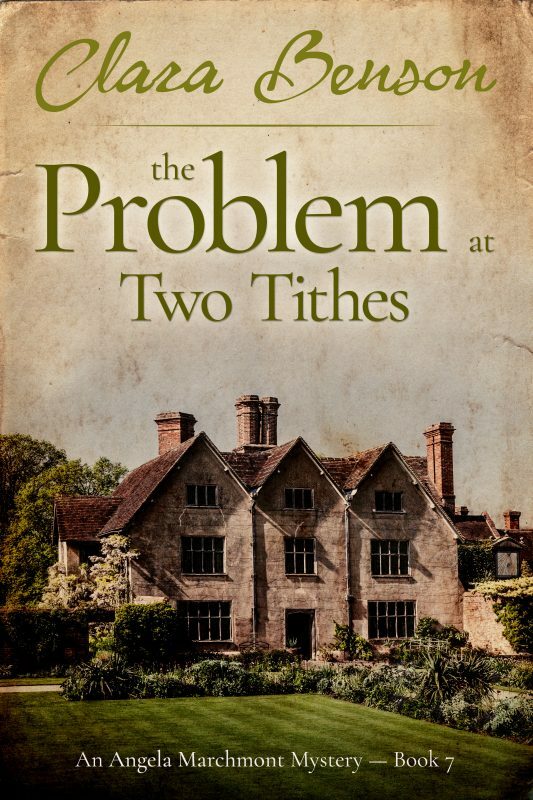 Can Angela find it and help a young couple celebrate their own happy Christmas? This is a short story of ten thousand words, or seven chapters—just right for an afternoon curled up on the sofa! 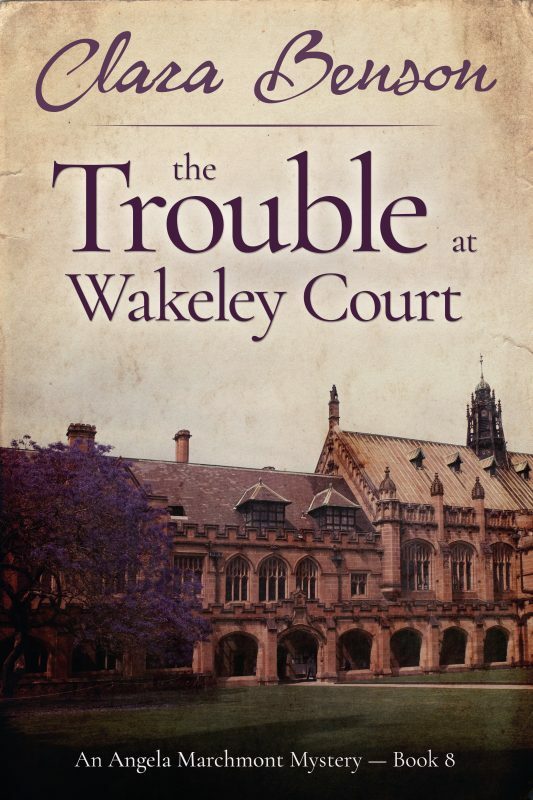 Angela's adventures continue in this series of light-hearted and charming 1920s mysteries! October 1925: On finding herself stuck in a small town in Illinois following floods on the railway line, Angela Marchmont falls in with a vaudeville company and helps a young man accused of theft prove his innocence. This is a short story of fourteen thousand words—just right for an afternoon curled up on the sofa!